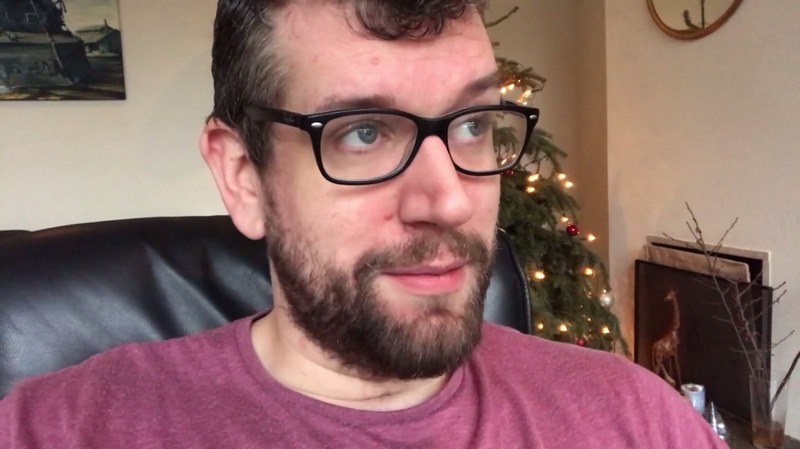 Vlog 184: Use Steemconnect to login to busy.org with your posting key + Red markets + Jamie Dimon turns around somewhat. Steemconnect is slowly becoming more and more integrated into the steem blockchain. SteemConnect is a simple identity layer built on top of the Steem blockchain that allows you to connect to authorized apps in a secure and convenient way. Securely manage your wallet, check your activity, and connect to services without giving up your password. To interact with the Steem blockchain you have several options. You can use your posting key, active key or owner key and they give less or more permissions. I always log in as much as I can with my posting key. With this key, I can only upvote, comment and post content. I can not transfer any funds. This is a super secure way to login in because when this key gets compromised in any way the 'hacker' can't use it to transfer any of my funds. In case it does get stolen I can always use my owner key to change my posting key. Now sometimes you need to use your active key if you want to send STEEM or SBD or change settings on your profile page. This is where you need to pay attention. Because when this key gets compromised any liquid funds can be taken from your account straight away and also a power-down can be started. Steemconnect will take this worry away in the future and more and more services are integrating it. Still (and rightfully so) some are pretty nervous (myself included) to use their active key with any third party so I would suggest you test Steemconnect first with your posting key to get a 'feel' for it. Login here with your username and posting key. If you then go to busy.org and press login you will notice that you are automatically logged in to busy.org. (with filling in any password). Busy.org is another frontend (just like steemit.com) that you can use to communicate with the Steem blockchain. One of the cool features of busy.org is that you can play d.tube video straight from the site. It's a great alternative to steemit.com and I suggest you give it a go! It will enhance your understanding that the STEEM blockchain is not just Steemit.com but data that can be accessed by many different frontends and apps. The work they have put in this new version is incredible. But I have saved (or logged in) steemconnect with my master key, so whenever I hit log in to any app that uses steemconnect it automatically logs me in. So I am not sure which key it's using. If a application asks for posting key then will steemconnect automatically takes my posting key to log in?? Personally, I would never use my master key to log in anywhere. There is no need to use it unless you want to change other keys. Is that so? but why they ask for the master key then? Like on utopian, I have to log in with my master key, that's why saved it(and might have selected loggin in always as well). Can we also log in on steemit with our posting key only? Your active key should be enough for Utopian. And yes, you can log in to steemit.com with your posting key. I would always recommend this. Yes, you can. Here: https://steemit.com/@katteasis/password. Make sure you are 100% awake and know what you are doing. Changing your master key and creating a new one will also change your posting and active key. "Make sure you are 100% awake and know what you are doing. " This kind of knowledge blackhole isn't Steemit's fault it's the nature of the beast. Too much too fragmented and not enough time to take it all in. Yr post is essential reading. Sadly like most of real value that flies around on Steemit it will not reach as many who need it as it should. Wow! !, this really great, I also saw it this morning that blocktrades has start using the steemconnect method for transaction of steem dollar and steem. Now I just gat to know about steemconnect on another function with busy.org, this really great man. Thanks for sharing. Crypto security is of paramount importance, this piece of information must be taken seriously. Thanks @exyle for the the hard work. One more thing btw @exyle, not sure you can't do anything but I want to report this to someone in order to see if it's just my account or a bugg. When I'm under Rewards in my profile, my reputation is down to 25, my background image and my own "text" disappears. Again sorry if I should not address you with this issues, but I thought you might know the right people to tell this to, or already know the answer to it. Many and I have noticed the same. If you refresh the page it will correct at some point. But it will come back every time you go there. I'm sure this will be fixed soon. Actually I also hate to give away my Active keys! Most of apps required it, actually I don't know why, but most of them ask Active Keys! Very useful update for the new joiners and also to others as well! Most of people are not aware about these keys well! I see DTube is also offering steemconnect logins as well as allowing the posting key to be used directly now too. I'm also integrating steemconnect into the front-end I'm working on (which is just a skeleton site at the moment). It's just another view of the blockchain, but will include video from various sources hopefully including DTube, DLive, YouTube and Vimeo, and will have some interesting features. Yeah, d.tube has always allowed the posting key. A great feature. Feels very secure. Recently they added Steemconnect. I follow your progress with a lot of interest. The use of Steemconnect versus direct posting keys seems to somewhat divide opinion among developers. I think jesta and heimindanger prefer direct posting keys. There are merits to both approaches I think. Steemconnect does reduce some of the security management work for third-party developers, but is a bit more centralising. I always had problem with using my Active key for steemconnect, not because I don't trust steemconnect, because I can't trust every device I use and there's always the risk of my devices being infected by malwares and Trojans. it's great to hear that steemconnect is improving the security in the right direction. Thanks for the information on steemconnect. This should definitely make logging into multiple sites easier. Hello Mark, being notified by STEEMIFY and re-ply with busy 😊. And I hope the vote from busy will run soon again! 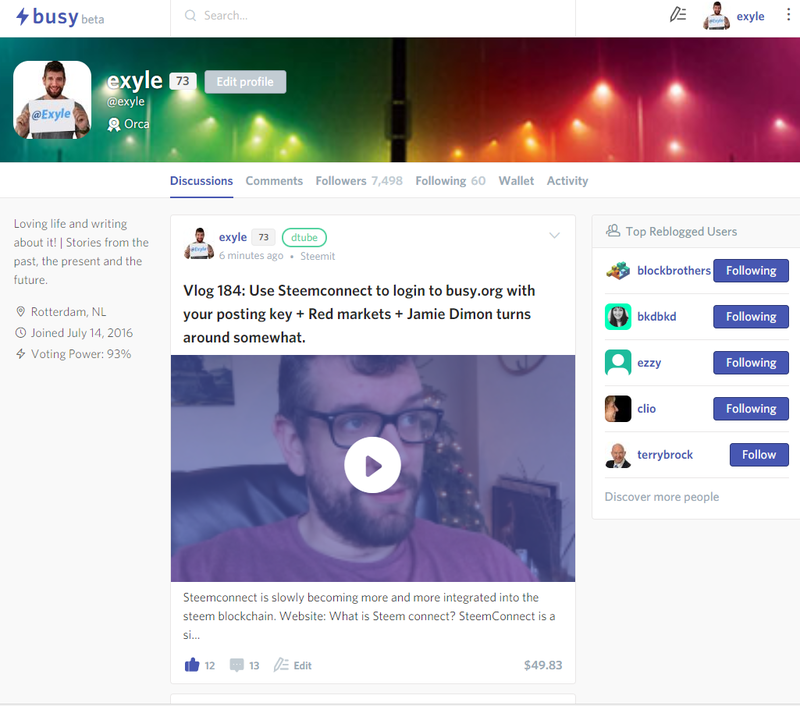 thanx @exyle to share steemconnect details but i want to ask some thing that tell me the busy.org is the part of steemit or any third party software? tell me is any fear to me from busy.org or not? So if I understand correctly, we can now log in with ours posting key in steemconnect? because until now we had to use the active key. Actually,using posting key is the best way to log in other area. I have not heard about about Busy.org I will check it. By the way , you deserve to become witness I will upvote you . Have a nice day ! so how can i do that? have been trying to log it but no way. Hi @exyle, just found this informative post, but i have to say that this: "If you then go to busy.org and press login you will notice that you are automatically logged in to busy.org." is just not working, at least not for me. I can login to v2.steemconnect with my private posting key, but i can not login to busy.org with it and it doesn't log me in automacilly either. 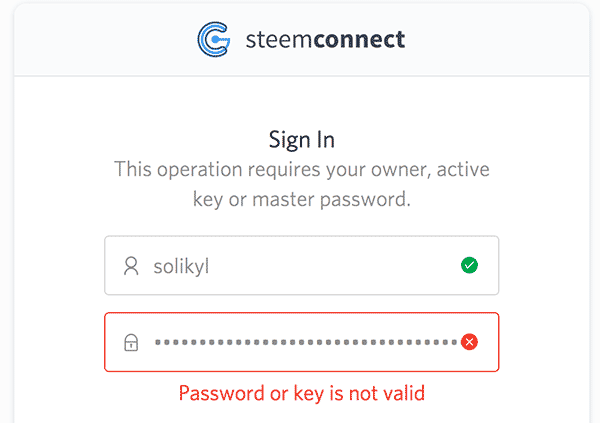 When trying to log in to busy.org steemconnect always asks for my active or owner keys. I really like to use busy.org, but i'm feeling a bit uncomfortable having to use the private active key to do it. Am i doing something wrong or do you have any ideas on how to solve this? Looks like it is no longer possible to login to Busy using posting key only. @exyle, maybe this post should be updated not to confuse users who test it for the first time, like me. Also, i cant find any info about this change and why higher permissions are needed to post from Busy. i like dtube channel..writing story very nice..thanks for share. ace key, so at whatever point I hit sign in to any application that utilizations steemconnect it naturally logs me in. So I don't know which key it's utilizing. On the off chance that an application requests posting key at that point will steemconnect naturally takes my presenting key on sign in? By and by, I could never utilize my lord key to sign in anyplace. There is no compelling reason to utilize it unless you need to change different keys And why they request the ace key at that point? Like on idealistic, I need to sign in with my lord key, that is the reason spared it(and may have chosen loggin in dependably also). Would we be able to likewise sign in on steemit with our posting key as it were. Busy.org I also saw it this morning that blocktrades has start using the steemconnect method for transaction of steem dollar and steem. Without giving master key have any options to login steemconnect through busy.org? very useful blog , i like to learn any thing ..
"In case it does get stolen I can always use my owner key to change my posting key." This is it right here. If only i had known this before losing my first account that i worked so hard on. I have to be part of this!!! Steem connect will be more useful after SMT launch. More & more applications will use it without compromising the security of our account. That's a problem with 3rd party tools, you have always a risk to get fucked up somehow, whether it is a mistake of tool owner or your own. on account of offer steemconnect points of interest yet I need to ask something that let me know the busy.org is the piece of steemit or any outsider programming? let me know is any dread to me from busy.org or not? furthermore, would we be able to expelled our pasword or logout from occupied. @exyle, now I login to steemconnect. Its so nice interface indeed. Very easy to use. Can I use it for steemit account? Hello @exyle, I want to ask if you have some insight into how my daughter can upload her YouTube videos successfully to dtube. She gets past the first 2 ticks and then after that it just keeps saying it is uploading but it doesn't. Master key should never be used and always it is advisable to use posing key for voting comme etc and most of the newcomers do not know about this and this article is a useful information for them. Ive been using #busy to post nowadays so this is good news. Better interface and less clutter than Steemit. Have a great day ahead thanks for sharing all the cool updates ! The security is of great importance to me and Steem Connect is a great solution! Have already signed up ;) And yes, it really helps us (new users) to understand that STEEM is much more than steemit. Thanks so much for sharing this info! Thank you so much for your advices , it's extremely important to know differences on keys as you stated perfectly . its an old saying PRECAUTION is better than CURE. is sama like tkaing action before its get hacked by someone is a PRECAUTION in here. Another lovely piece I see! HOLLY CRAP!! Dtube videos play on busy.org and they don't link you to another page!! yesssssss! since steemconnect is here we are all having much better experiences! Thanks, I didn't know about SteemConnect actually. Will try it out!